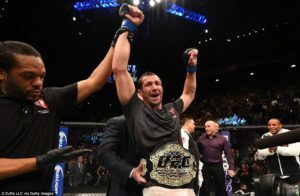 HomeFeaturedSimon Says: Rockhold Returns; Better or Broken? There are few fighters that can suffer devastating knockout losses and return to competitive, let alone improved form. It cannot be argued that these athletes are exactly the same as before their concussive defeats (the trauma inflicted upon their brains is obviously significant and in many ways irreversible) but some manage to find a way towards further improvement and continued competitiveness. Such has been the case with boxers like Miguel Cotto and Manny Pacquiao, and UFC fighters like Michael Bisping, Alistair Overeem and Luke Rockhold. On Saturday night, the former UFC Middleweight Champion will look to once again recover from a devastating knockout when he faces Former 2-division PFL Champion David Branch. The nature of traumatic brain injuries is perhaps the most difficult moral and practical dilemma facing combat sports today. The nature of these injuries is so strangely heterogeneous (ed. note: don’t worry, we got you covered) that we can see someone like Overeem whose been knocked out 10 times (in MMA alone) still lucid and a top contender, while in contrast we watch the likes of Chris Holdsworth, Sam Stout, and countless others retire early due to frequent or acute concussions. Overeem pictured here taking a moment to see if his shoes are untied…On closer inspection, he discovered he was shoeless. It is at the same time both a marvel and truly sickening to see fighters bounce back from knockout losses. One has to remember that these events occur tenfold behind closed doors. The ethical dilemma facing combat sports and MMA specifically is one of the utmost urgency especially with recent fighter deaths, comas, and cases of paralysis. Most fans prefer not to discuss this side of the sport, much like football fans, and understandably so. When the UFC bills its fighters as the greatest in the all of sports it is no wonder that fans view them as near demi-gods. When we see Lyoto Machida crane kick Randy Couture, or watch Anderson Silva fight like he is in the matrix is anyone really concerned about their fragile brain tissue? Fans assume that because knockouts are the norm they are therefore somehow easy to recover from. The fact is, many fighters never recover at all but the ones that do are truly a mystery of circumstance. When Michael Bisping was knocked out by Dan Henderson at UFC 100 most thought his career was over. To this day, it is difficult to find a more devastating knockout in any combat sport. 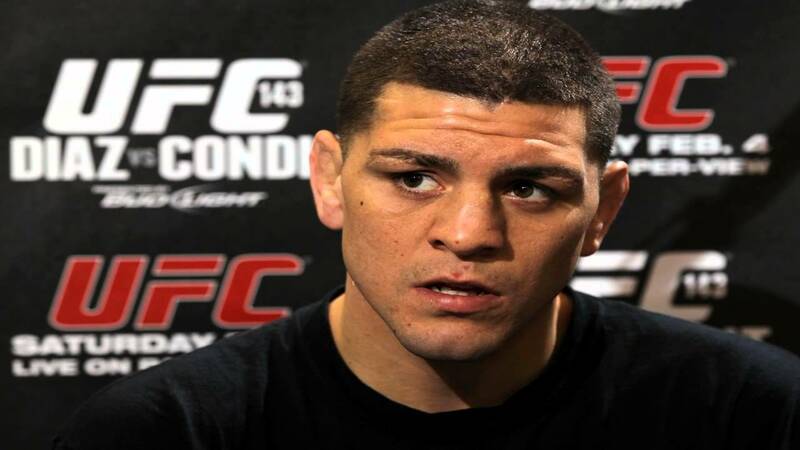 Yet 8-years later “The Count” sits atop the UFC’s middleweight division arguably in the prime of his career. For every Michael Bisping there are hundreds of Sam Stout’s. Guys (and gals) who hung up the gloves at every stage of development: from training, to amateur-level competition, to the professional leagues. 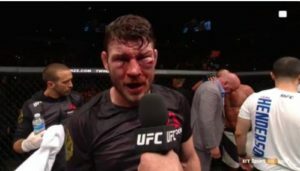 Men like Michael Bisping are uniquely resilient for reasons that will probably remain unknown to neuroscience for years to come. Challengers beware! The uglier his face gets, the more powerful he becomes. Brain trauma will never stop being an issue in combat sports. There may be breakthroughs in mitigating or recovering from such injuries, but for the time being the shelf life of the average fighter is subject to instantaneous expiration at any moment. For now we can only focus on the stories of those who hang up the gloves because of these problems or bounce back in spectacular fashion. This type of situation is not uncommon for former UFC Middleweight Champion Luke Rockhold. In 2013 he was knocked out by “TRT” Vitor and went on to claim the 185lbs. belt just 3 years later. Now he must look to repeat the same feat, though for many reasons the stakes are much more significant. Since getting knocked out by Bisping in June of 2016, Rockhold has sat on the sidelines for more than a year recovering from both the after effects of the bout and separate injuries. While that recovery time bodes well for his health, the mere fact that he was concussed again points to a heightened susceptibility to similar trauma as well as a host of further complicating factors. 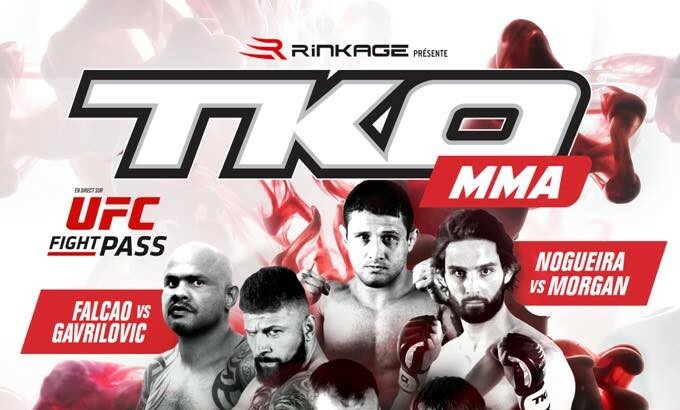 The American Kickboxing Academy is known for both producing champions and catastrophic injuries. These injuries are most certainly not limited to knees, spines, and shoulders. Adding to Rockhold’s 3 KO losses and innumerable punishment in the cage is the compounding trauma inflicted over years of training at an elite camp. Although he was able to claim the 185lbs. strap after getting KO’d by Belfort, one has to wonder if he can again bounce back after an added 4 years of abuse. There’s a good chance this may not be something we ever see again from Luke Rockhold. In those 4 years he has greatly improved his game, but the question is one of costs and benefits. His grappling is superb, he has some of the best kicks in the division but has he lost the ability to take a punch? Moreover, his opponent on Saturday night will be no slouch. Unbeaten in 5 years, David Branch poses a serious challenge and is not at all the tune-up Rockhold most likely requires. Truthfully though, his opponent may no longer matter. In a game where innocuous looking shots can put a man to sleep and brutal trauma can be easily absorbed, there really is no telling how a fighter will react. Rockhold might be better than ever — or begin speeding towards retirement — tune in Saturday to find out.